Are you looking to take your trading to the next level, start making some serious money from trading? Then you need to find the best trading coach. I think that I am what you are looking for. I am a trader and a coach. I’ve been coaching for twenty years and training coaches for ten years. I have coached people in almost every industry imaginable in leadership positions, heads of banks, attorney generals, educationalists, entrepreneurs, junior clerks, and even job seekers. More recently I have been concentrating on working with traders and coaching traders through the progression to profitability and onwards. I learned to trade in 2012 by modelling and coaching some very profitable and established traders. Whilst coaching them I discovered that they all traded in the same sort of way (although they traded very different markets and timeframes). They had all developed ways of reading financial markets and designed a system to provide them with a consistent edge over the markets. I helped them to optimise their systems and thinking to improve their results. At the same time I used the knowledge that I gained through working with these traders to put together my own trading systems and style of trading that I teach now in our trading courses. Trading isn’t easy and traders are isolated. Nobody cares what your results are as a trader other than you. In fact other traders are in the business of taking money from you rather than congratulating you on your winners! That is why traders benefit from having an expert coach and/or mentor to work with. A trading coach is someone you can trust and only has your interests at heart. A trading coach listens without judging, asks lots of questions to help you get the best from yourself and offers suggestions and opinions when requested. That is my role as your trading coach. A trading mentor is someone who will assist you in applying your trading education and developing a trading system that works for you and meets your objectives. A trading mentor will review your trades with you and help you make logical assessments to improve. A trading mentor will help you fill in knowledge gaps from their years of trading experience so that you improve your trading and build a solid educational base. That is my role as your trading mentor. As we both know trading is a true challenge, I can empathise with you. It took me over two years from a standing start to become consistently profitable. I blew up several accounts before I managed to start turning the tables in my favour. In the early stages of my trading career I cut my winners short because I was just so pleased to see a winning trade come my way. I hung on to losers hoping that they would turn around and I nearly gave up all together several times as I contemplated my losing ways. I think that I am a very determined person. I don’t give up easily and I knew deep down that eventually I would find ways to win. I worked at my trading for over twelve hours a day for a couple of years. I worked on my psychology and I worked on my techniques. I studied expert traders and eventually my hard work started to pay off. My aim was to become so good at trading that I couldn’t fail. I learned how the markets move. I studied technical and fundamental analysis in great depth and now I have a set of skills that reward me in the markets. I am proud to say that I have become an expert in the field of day trading and financial trading through technical and chart analysis (and am gratefully recognised as such). I would be delighted to share my skills and trading psychology with you and help you to develop into a highly skilled and profitable trader. Contact me here or call me on 07725 723155 to discuss how we can work together. Here is a lovely testimonial that will give you an idea as to what you can expect from my coaching and training in the area of Day Trading/Financial Trading. I have been fortunate enough to receive mentoring on a weekly basis with Anthony, for the last six months. Anthony is truly a breath of fresh air when it comes to trading education. Before starting I found Anthony‘s fees to be more than reasonable. I have now learned through my experience that the fees are actually priceless. I was naturally sceptical at first – but these concerns were quickly abandoned by me through experiencing Anthony’s genuine desire to teach and improve his student. My experience through Anthony’s teaching has caused a significant mind shift change – from being someone who wanted to learn ‘one trick’ that would make money – to now someone who has no other ambition than to become a professional trader. This mindset shift has been achieved through Anthony’s excellent people skills and proven teaching techniques. 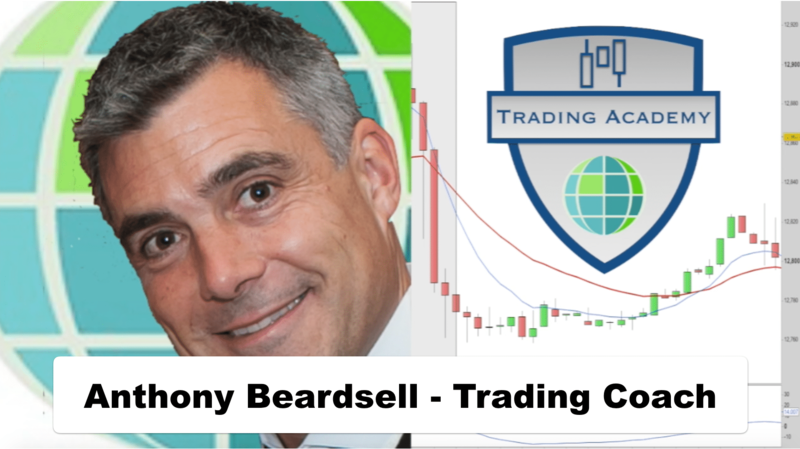 My experience with Anthony has made me realise that trading is a precarious and challenging profession, and it is not as easy as most trading education providers would like us to believe. Anthony’s professionalism is superb and for someone so successful, his humility is inspiring.